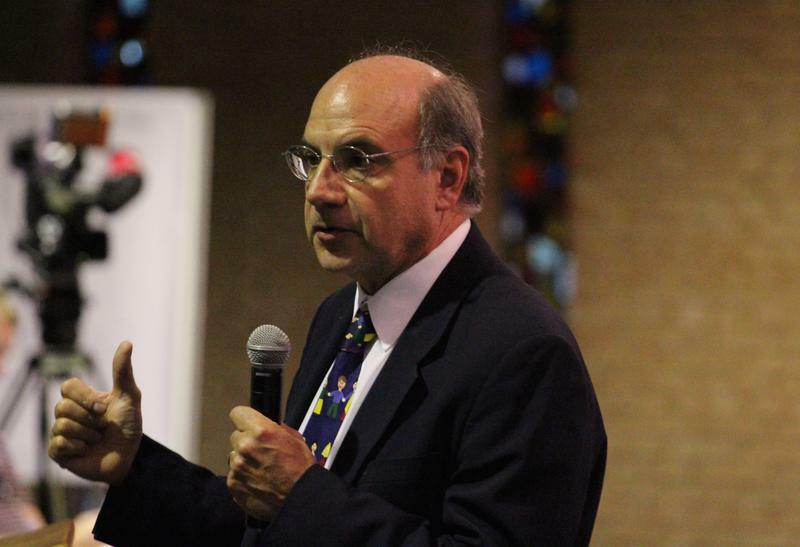 The Ferguson Commission's final report paints a stark picture of a region divided by race. It suggests a host of policy changes to law enforcement, education and economic development. The Ferguson Commission’s final report provides an unvarnished look at how a racially divided St. Louis underserves African-Americans. The report provides a host of recommendations to transform how the region polices and educates itself — and its most vulnerable citizens. But Starsky Wilson knows he’s venturing into familiar territory. 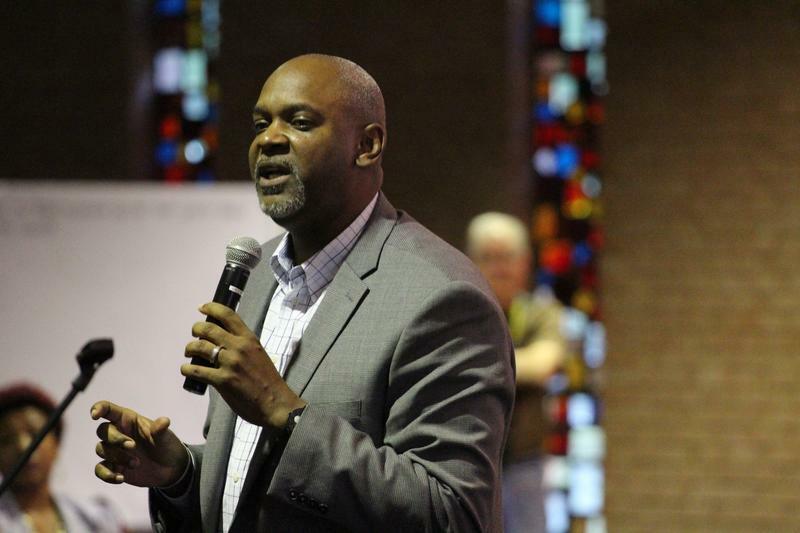 The St. Louis religious leader is the co-chairman of the commission set up to come up with policy recommendations after Michael Brown’s shooting death in August 2014. When the 18-year-old was killed by a Ferguson police officer, his death set off riots and violence — and posed deep questions about race relations in America. During the commission’s final meeting last week, Wilson talked about the work of political scientist Lindsey Lupo — whose book examined nearly 100 years of “riot commissions” set up after American rebellion and unrest. 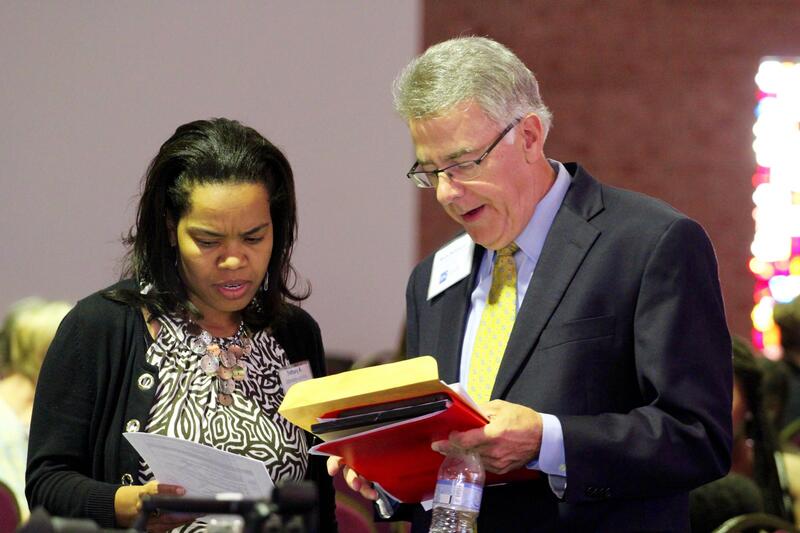 Ferguson Commission executive director Bethany Johnson-Javois and co-chairman Rich McClure examine the agenda before the last meeting of the Ferguson Commission. And the commission’s final report, which is set to be publicly released today, pulls no punches about the underlying causes behind last year’s unrest. “We have not moved beyond race. St. Louis does not have a proud history on this topic, and we are still suffering the consequences of decisions made by our predecessors,” the final report says. “We are not pointing fingers and calling individual people racist. We are not even suggesting that institutions or existing systems intend to be racist. To change the status quo within St. Louis, the report sets more than three dozen “signature priorities.” Many of the ideas revolve around changing law enforcement practices and economic development strategy. Others focus on education policies. While many ideas could be implemented without governmental actions, some of the big proposals will require action from a state legislature that has been hesitant to overhaul of law enforcement. While acknowledging that policy shifts aren’t easy or comfortable, the report and the commission’s leaders believe it’s time for St. Louis to change. “We think frankly that the needs and the issues are so compelling here that our region will realize that this is yet another opportunity to come to the table and say, ‘We need to change,’” said Commission co-chairman Rich McClure. 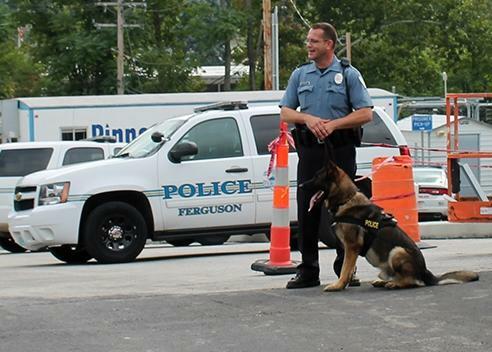 A Ferguson police officer and police dog stand by a police vehicle outside the Ferguson Police Department. Setting up a public database to keep track of police-involved killings around the state. Expanding the amount of police officer training. The report suggests bolstering training regarding social interactions with residents, handling demonstrations and dealing with minority groups. During an interview on St. Louis on the Air last month, Ferguson Commissioner and former St. Louis police chief Dan Isom said Missouri badly needs law enforcement policy shift – especially when other states are making more progress. The report's other two sections center on children and economic opportunity. The host of recommendations for schools include changing school discipline policies; establishing school-based health centers that provide “access to mental health, case management and reproductive health;” and expanding early childhood education. It also says the legislature should expand Medicaid eligibility, raise the minimum wage, crack down on unscrupulous lenders and bolster the amount of low-income housing. The commission’s report is the culmination of roughly nine months worth of public hearings and other meetings. It doesn’t have the power to implement any of the recommendations. Lt. Gov. 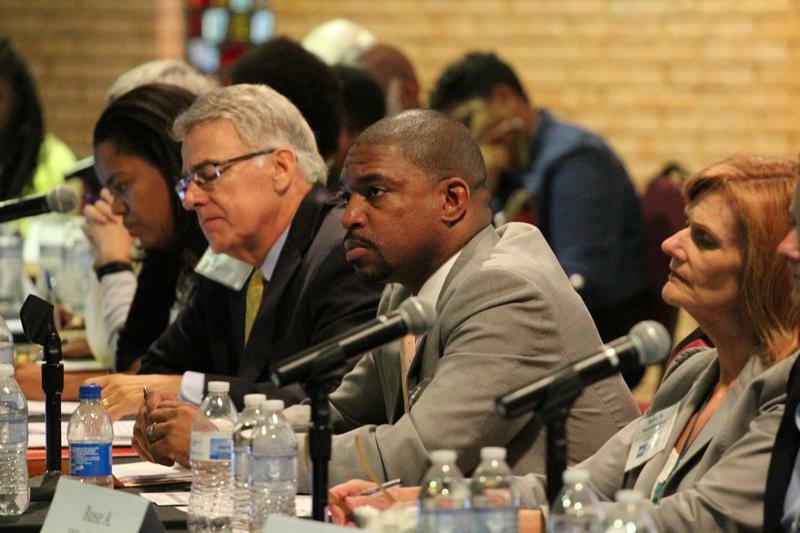 Peter Kinder questioned the Ferguson Commission's effectiveness -- and its costs. In fact, many require the backing of a GOP-controlled Missouri General Assembly that almost certainly will be hostile to some of the proposals — especially expanding Medicaid or raising the minimum wage. Lawmakers didn’t adopt some of the law-enforcement proposals when they came up during the last legislative session. Lt. Gov. 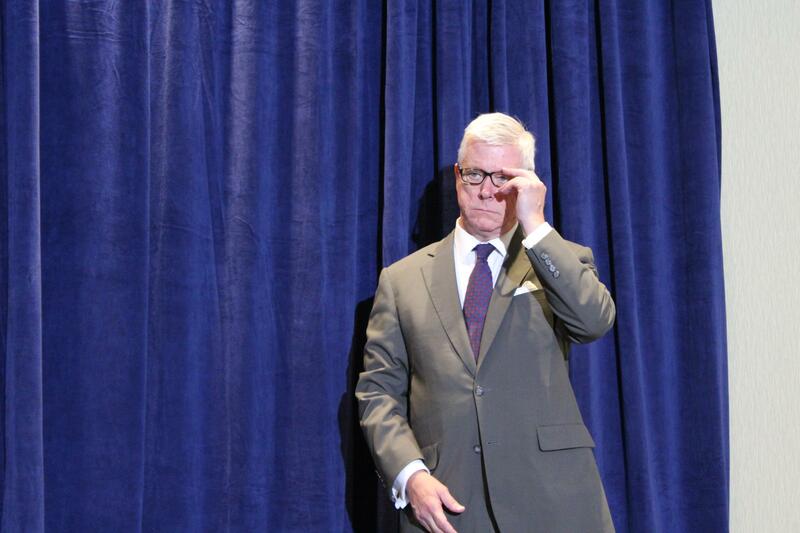 Peter Kinder, a Republican, has long been skeptical of the commission. He openly questioned whether the commission’s work would vanish into history like other studies — such as the Kerner Commission report that came about after racial riots in the 1960s. While praising individual commission members for their work, Kinder last week questioned if the Missouri Legislature would embrace the proposals. He also has criticized the commission's price tag, including a decision to pay managing director Bethany Johnson-Javois roughly $139,000 a year — which he notes is more than Nixon makes. "I certainly hope that it will not be another commission report that gathers dust," Kinder said. "But it was reasonable I think at the outset of this to have that suspicion and to question the budgetary outlays, which have been made this process very, very expensive." It’s not just Republicans who could be hostile to the commission’s proposals. St. Louis County Prosecutor Bob McCulloch, who faced calls to step aside from handling the Brown case, has sharply criticized proposals to bring in special prosecutors for police shootings — calling them impractical and misguided. Al Gerherdstein is a Cincinnati attorney who helped bring about a legally-binding agreement to change his city's police department. He worries without a court order, there's no guarantee that the Ferguson Commission's work will resonate. At least one outside observer worries the commission’s bully pulpit isn’t strong enough to bring about policy change. Al Gerherdstein is a Cincinnati attorney who helped facilitate a legally binding agreement in his city after a rash of police shootings. Without a court order, Gerherdstein isn’t sure that the commission’s suggestions will go anywhere. Still, some commissioners and elected officials remain optimistic that their proposals will find favor with the public. Missouri Gov. 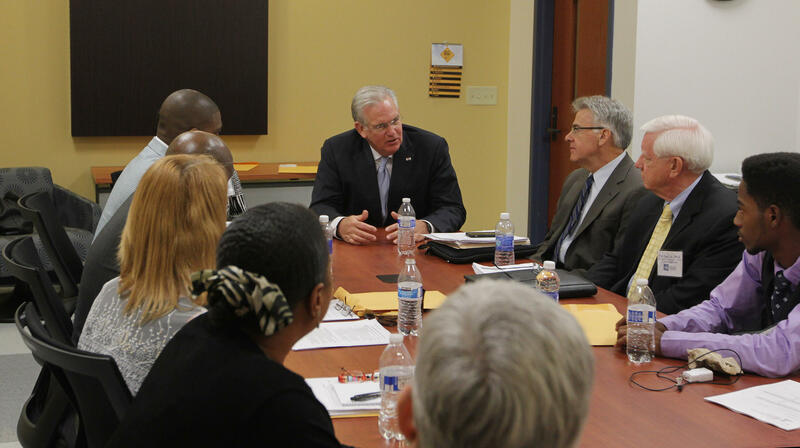 Jay Nixon meets privately with members of the Ferguson Commission at St. Louis Community College - Florissant Valley on Aug. 7, 2015. Nixon says he’ll use his last year in office to push for some of the commission’s recommendations. While he faced immense criticism for how he handled the aftermath of Brown’s death, the governor says the lessons learned from the past year are too important to ignore. “I do think that the splinter point was whether or not with what happened last summer and into the fall, whether as a state we were going to back up and say ‘problems don’t exist and we’re going to ignore them,’” Nixon said last week. “Or whether we’re going to lean forward and work together to move our state forward. 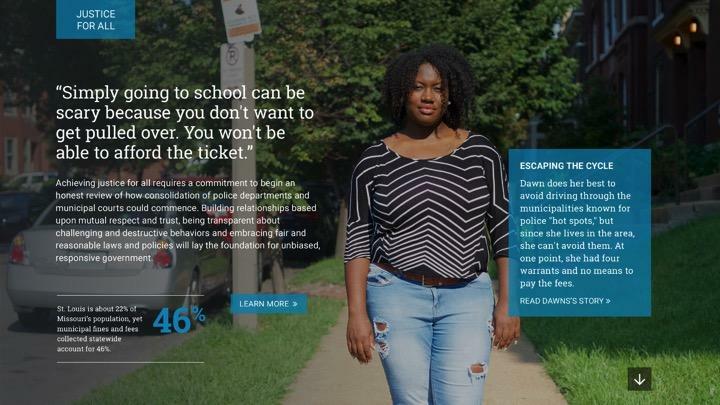 McClure pointed to the report’s website, which he described as “highly communicative and highly interactive.” It includes contributions from Lindy Drew, a photographer who helped create a site called Humans of St. Louis. Drew said the report’s website pairs some of the commission’s work and recommendations with stories from ordinary St. Louisans. She says it’s a presentation style that is likely to spur conversation – or direct action to make changes. A screenshot of the Ferguson Commission's website. Johnson-Javois, the commission’s managing director, said earlier this year that she’s banking on some of the people who made recommendations to commissioners to follow through on them in their schools, police departments and communities. Please help St. Louis Public Radio continue reporting. Become a source in the Public Insight Network and tell us: What's your big "take-away" from the Ferguson Commission report? 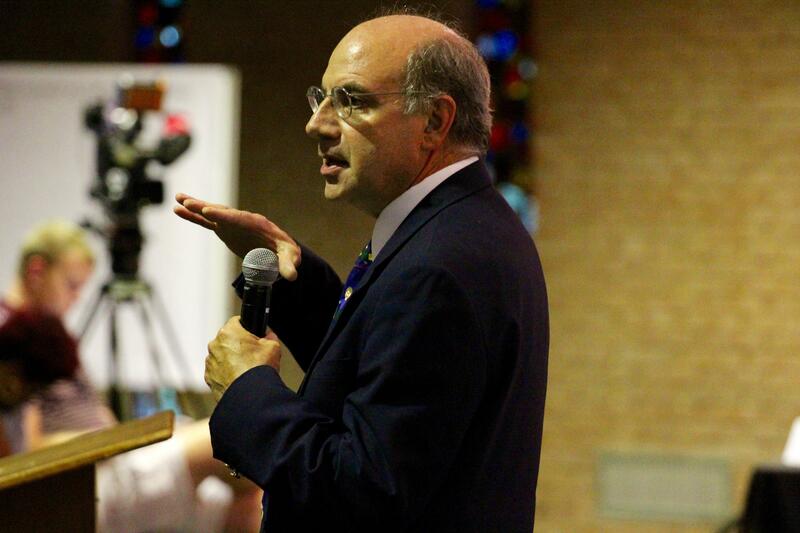 How did the Ferguson Commission make its recommendations? Damon Lynch III spent a portion of his Sept. 9 last year sitting inconspicuously in the Greater Grace Church’s hallway. He was one of hundreds of people who attended the first Ferguson City Council meeting following Michael Brown’s death, a gathering that became a flashpoint for anger and demands for transformation. Training standards for police officers in Missouri will get an overhaul for the first time in nearly 20 years. Gov. 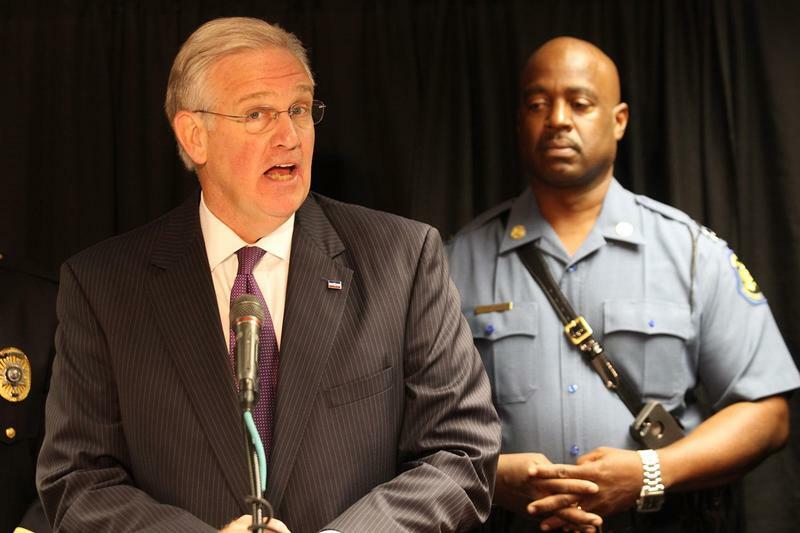 Jay Nixon announced Thursday that he will ask the Missouri Peace Officer Standards and Training Commission to issue new rules around tactical training, fair and impartial policing, and the well-being of officers. With only a few days before they release their final report, members of the Ferguson Commission got something of a reality check from Al Gerhardstein. Gerhardstein is an attorney who helped negotiate a landmark agreement in Cincinnati that brought massive changes to the city’s police department. As he looked at some of the commission’s recommendations to overhaul the region’s law enforcement agencies, Gerhardstein worried aloud that he was experiencing déjà vu. 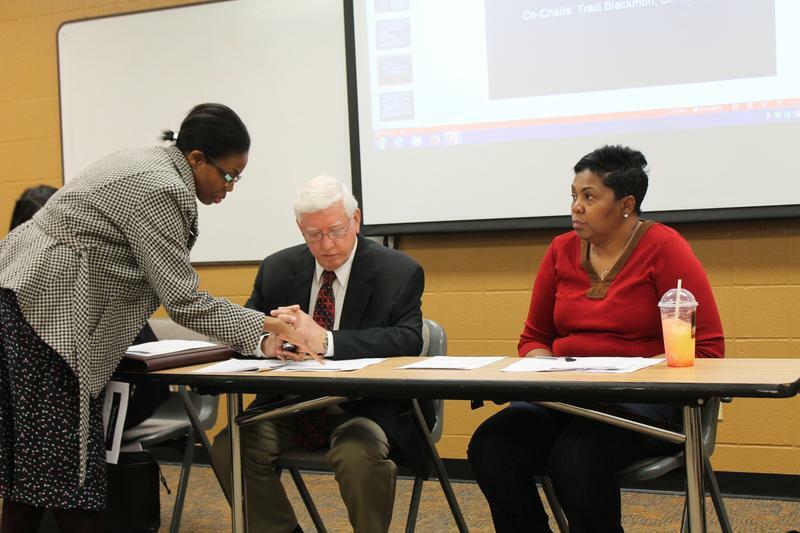 When the Ferguson Commission first met last December, its members bore the brunt of pent-up anger and frustration. It was just days after a grand jury decided against indicting former Ferguson Police officer Darren Wilson for shooting Michael Brown. At that first gathering, the 16-member commission was beset by livid audience members and skepticism about the commission’s ultimate value. But recently inside a classroom on the University of Missouri-St. Louis campus, the tensions of last year seemed far away.